What’s a “spinwich” you ask? 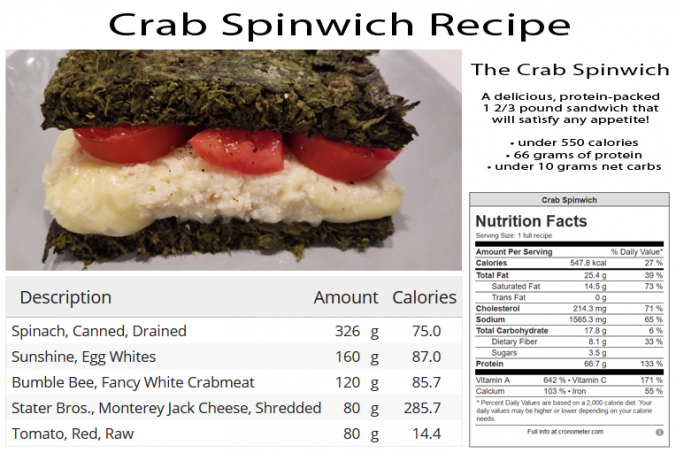 A “spinwich” is my term for a sandwich using spinach & egg white slices as a substitute for bread. I coined the word because for purists, it’s not bread if it’s not based on some form of flour and while the slices could be likened to a frittata, a frittata is primarily egg-based with all the fillings mixed right in. Use cheesecloth to drain all the spinach from a 27 oz. can, getting every drop you can into a separate bowl. The drained juice makes for a healthy, tasty drink, ensuring you’re` getting all those good nutrients as they’re listed on the can. In a 6.5″ x 8.5″ pyrex baking dish, thoroughly mix the drained spinach with the egg whites and then press down into a single layer. Bake at 425-degrees for 30 minutes. With a metal spatula, first pry the edges away from the dish and then work the spatula underneath, scraping out the entire layer of spinach. Cut this layer of spinach into two halves and toast in a toaster oven. You may even choose to toast your slices twice, with the main goal being to get the slices dry enough to hold together like a sandwich. Layer sliced tomato on top of the filling, season to taste with salt and pepper and enjoy! Recently, I was taking an Uber to the airport when a car pulled right in front of us, causing my driver to slam on the brakes, skidding and missing the other car by inches. The driver of the other car whipped his head around and started yelling at us. This is when my driver taught me what I now call, “The Law of the Garbage Truck”. 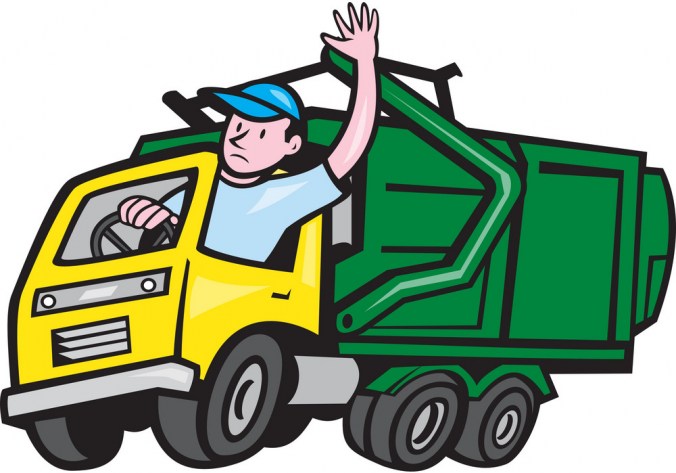 He explained that many people are like garbage trucks. They run around full of garbage, full of frustration, full of anger and full of disappointment. As their garbage piles up, they need a place to dump it and sometimes they’ll dump it on you. Life’s too short to wake up in the morning with regrets, so love on the people who treat you right and pray for the ones who don’t. Life is ten percent what you make of it and ninety percent how you take it! Here is my delicious, super keto-friendly recipe that I call my “8-Carb Burger”. The name says it all, there are only eight net carbs in the entire sandwich. By comparison, a Big Mac has 42 net grams of carbohydrates, a Whopper has a whopping 47 grams and my favorite, the Farmer Boys’ Farmer Burger, has 55! It all starts with a couple Pyrex dishes. I got a nice deal on a set of three for only $15 at Amazon. Over 100 years since it was invented in 1915, there’s still nothing that compares to Pyrex – it works equally well both in both microwaves and conventional ovens, the fact that it’s see-through allows you to view layered ingredients at a side angle, it’s easy to see just how clean your dish really is and everything comes clean with a little steel wool without any worries of scratching it. I start with the small 5.5″ x 7.5″ dish to make the buns. Mix it well and microwave it for 90 seconds. Note how the baking powder made the bread rise. Split that dish full of bread into two to make for a top and bottom bun and toast. With the slightly larger 6.5″ x 8.5″ dish, I add a half-pound of ground beef, season it and then smooth it out to a flat, even layer. Split that layer of meat to make two quarter-pound patties – you can use one patty for now and one for later or use the two patties to make it a double. By using the slightly larger dish to mold the patties in the same shape as the buns, your patties should cook down to fit your buns perfectly. 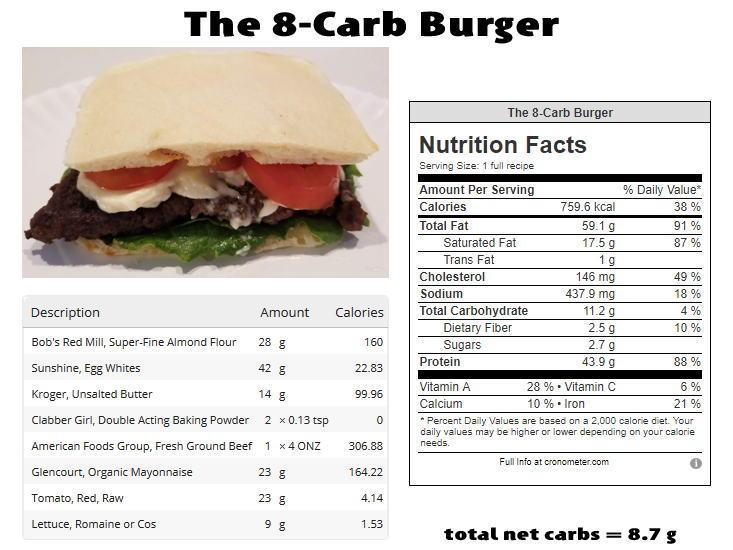 There you have it, The 8-Carb Burger, suitable for the strictest of low-carb diets. high-fructose corn syrup or cheap, refined sugar as a replacement. If you’re serious about a low-carb diet, avoid those low-fat and fat-free products and go with that delicious, zero carb, fat-laden mayonnaise! About six years ago I started this list as a memory exercise more than anything, just trying to see how many of all the books I’d ever read that I could actually remember having read. Now the list is more of a memory exercise in trying to remember the gist of what each of these books were all about! Guelzo, Allen C. and Gallagher, Gary W. and Allitt, Patrick N.